In the course developing Accretion Technology directed toward structural applications, exceptional accumulations and growth rates of marine organisms on accreting structures were observed. The process was further developed as Biorock "A METHOD OF ENHANCING THE GROWTH OF AQUATIC ORGANISMS, AND STRUCTURES CREATED THEREBY." 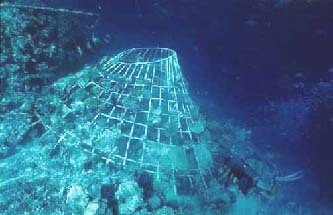 "A METHOD OF ENHANCING THE GROWTH OF AQUATIC ORGANISMS, AND STRUCTURES CREATED THEREBY"
In 1988, Prof. Wolf H.Hilbertz, began collaboration with Coral Ecologist, Dr. Thomas J. Goreau, of the Global Coral Reef Alliance, in research and development of Biorock with a focus on coral propagation, preservation of corals, and coral reef restoration. 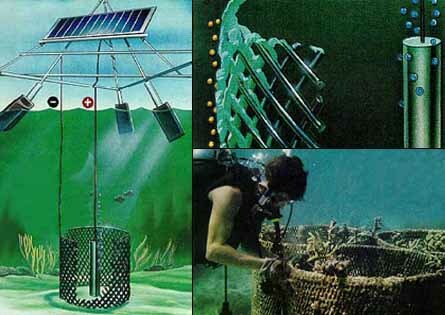 Demonstration projects conducted at number of locations around the world have involved the grafting of salvaged coral fragments to Biorock Reef Structures. Enhanced growth rates of the salvaged corals were monitored and documented. Survival of corals on Biorock Reef Structures exceeded the survival of corals on adjacent natural coral reef formations under severely degrading environmental conditions. Biorock Reef Structures immediately became integrated, living parts of their marine environment, providing additional substrata available and conducive to further natural settlement of wild corals. Biorock Reef Structures ultimately hold promise to augment repopulating of corals on natural reefs that have suffered degradation and devastation from numerous human related and natural causes. 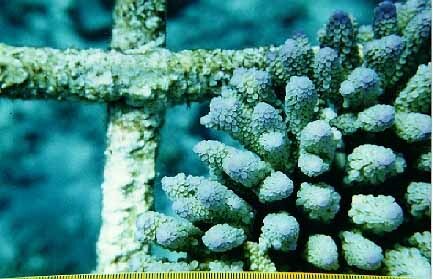 April 1999 Restoration of coral growth under "impossible" conditions. 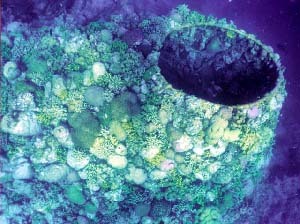 In the Maldives in 1998 only 1-5% of corals survived heatstroke caused by global warming, but in the same habitats, 50-80% of the corals on Biorock structures survived. Biorock is the Trademark of Biorock Inc. Protected under International Intellectual Property Legislation. Copyright © Applies to All www.Biorock.Net Website Content.